“After moving back to Jordan, it appeared different to me. 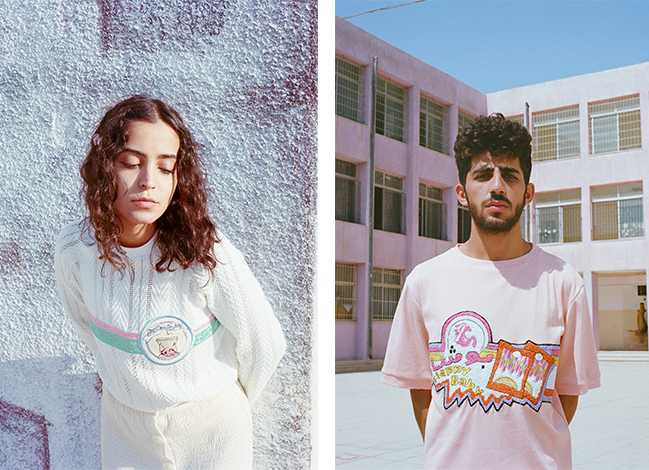 My immense love for my country grew and I started to see Jordan with a different eye, inspiring me to tell stories of Jordan through clothes”, says Tania Haddad, founder of her eponymous brand Tania George. Born and raised in the capital city of Amman, George graduated with a fashion design from the Polimoda Fashion Institute in Florence. 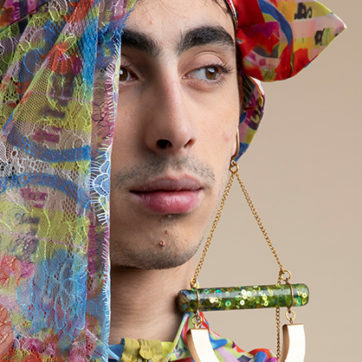 During a work experience stint at the famous Italian textile producer Stamparia Fiorentina in Prato, George uncovered a love for textile design and printmaking. 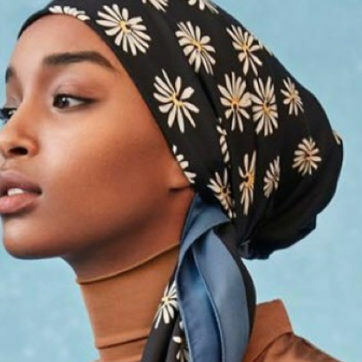 It was then that she headed to New York to work in-house at several brands from Tibi to Moises De La Renta, before returning home in 2015. Tania’s desire as a designer is to find balance between traditional craftsmanship and contemporary design and trends. “The idea is to mix modern and traditional, to combine the old and the new. It is simplicity and chaos in one,” she says. 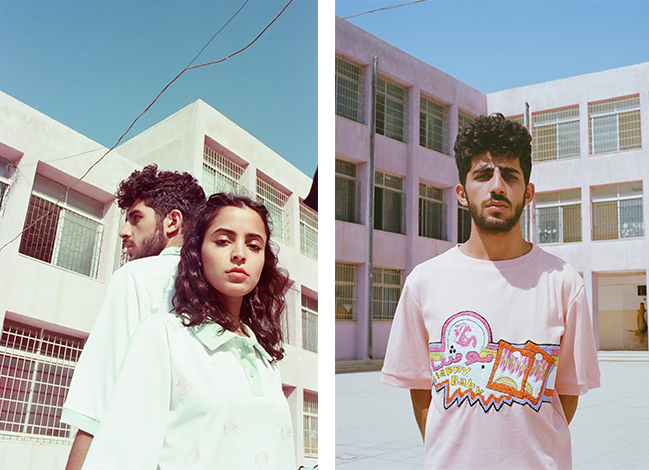 Her latest collection—which was shot by Iraqi photographer Cheb Moha—presents a dreamy, pastel-drenched (and somewhat childlike) unisex collection entitled ‘Chibs, Bibs, Canary’ (also known as RECESS). Local tailors from around the Middle East—who inherited their skills through generations of family tradition—handmade all of the items. Um Bayan from Palestine, Seta from Iraq and Abdel Razzaq from Syria are the tailors in charge of producing the collections. 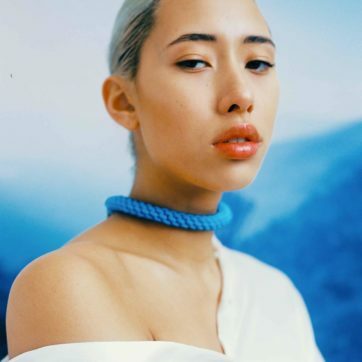 “Their unique approaches and techniques are what make Tania George what it is, a company that values heritage. Yes we are cute, but Tania George runs deeper than a bag of cotton candy”.